Experimenting with oats can be delicious, and the combination of banana and cinnamon is divine! These oats are full of flavour! Steep tea in water until desired strength. Add the almond milk to the tea and pour into pan (on medium heat). Add the oats and the flax seeds and stir until you get a thicker consistency. 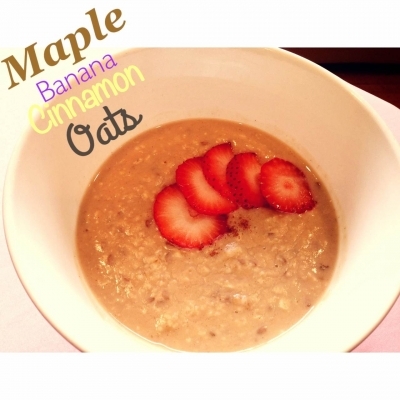 Add the rest of the ingredients and enjoy a yummy breakfast!